Rewilding is a process for creating humans who can live in a healthful, truly sustainable manner, in close connection with their local landscape (i.e., as part of the wild ecology). It is a trajectory that anyone can follow, regardless of where they live. Experiencing greater health, heightened awareness, further self-reliance, and more real community does not require fully wild living (though it can mean that for some individuals). Each person has experienced some degree of domestication in modern societies. Whether or not people can observe it, whether or not people choose to admit it, industrial society has cost everyone. Rewilding principles can help them overcome the Great Forgetting that has occurred and help them find their ultimate place in the world. Rewilding is not about aggressive rebellion and anarchy, it is about becoming aware and seeking sustainable and rejuvenative solutions to the problems we currently face through cooperative community. But neither is it about being passive and apathetic—regaining feral temperament is needed for humans to protect the remaining vestiges of wilderness. At its core, rewilding is reminding humans that they are part of the biosphere, and though a unique and very special part of it, they are not a master race with dominion over it. I consider the following principles to be the “ten commandments” of rewilding, and they are what guide me on my path to becoming a whole human. 1. Immerse yourself in nature. Seek to experience nature first-hand, and as often as possible. Observe your world with all of your senses. Realize that movies and recordings are proxies for real world living that deprive us of broad-spectrum involvement with all the senses. Expose your body to the elements. Don’t fear contact with soil, air, water, and sunlight—these elements are necessary for health. Strive to understand your wild landscape. Learn about all aspects of it—the flora, fauna, weather, geology, what has shaped its landforms, which wild humans have inhabited it, what does its web of life look like? Instead of pop song lyrics and jingles for commercials, fill your head with the songs of birds, the spring calls of amphibians, and the summer time chorus of insects. Your ability to feed, heal, and clothe yourself is directly a function of your natural history knowledge (without this information, you cannot identify the organisms that will promote your health). Wage slavery is not your ultimate place in the world. You have genetic memory of awareness and self-reliance. To experience real sovereignty, you must undo the generations of forgetting that have occurred. Start the next generation’s life free of institution (i.e., have as natural a birth as possible) and continue to learn life skills that promote freedom (not from responsibility, but from oppression). 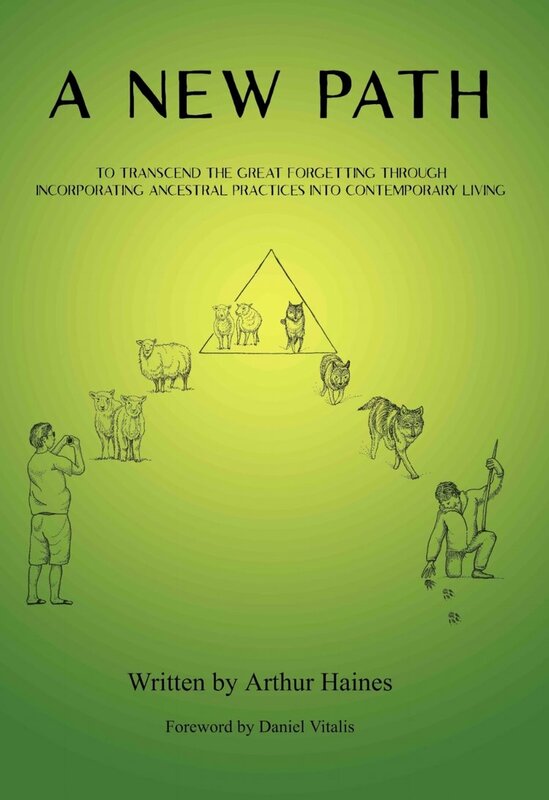 Remember that ancestral lifeways (often referred to as primitive skills) are proven sustainable technologies. Learn these skills so you can experience freedom, further connection to nature, and link to your past. 4. Eat wild food and drink wild water (or as close to them as you can). Nourish your body with real food and water. Know that as one passes along the continuum of wild plants, to heirloom organic produce, to conventionally raised crops, to GMO round-up ready foods, the overall nutrition declines and the harm to the world increases. Be part of the circle of life—learn to secure your own food through hunting and gathering, small-scale organic agriculture, and permaculture. Support local food economies. Learn indigenous and traditional recipes and processing methods. Realize that every ecosystem produces superfoods (i.e., you don’t have to import mystical plant foods from far way). And every ecosystem produces potent natural medicines. Drink water that is free of plasticizers, chlorine, and fluoride. Demonstrate gratitude for the lives that nourish you. 5. Engage in wild movement. Strengthen your physical body with real and practical movement. Walk, run, crawl, and climb in the natural world that surrounds your home. Don’t rely on fossil-fuel powered machinery to do all your work. The gym is not a wild setting. Travel long distances by foot (or canoe) whenever you can. Stress your skeletal system with exercise so that your bones are strong. Strive for the conditioning of wolves and deer (and other wild animals found in your local environment). Open your senses to everything in all settings. Domestication has dulled your ability to perceive and your desire to learn. Rewilding, which involves regaining our sovereignty, can be accomplished only through awakening (shutting down the senses is counter to this process). Spend time tracking, learn to distinguish the different vocalizations of birds (and their meanings), and visualize the ripples of disturbance that emanate outward when a domesticated human enters the forest. In a similar vein, see the motivations behind political and commercial activities. Be aware. Foster awareness in the next generation. 7. Be part of a real community. Humans are communal animals. No one survives alone. And no one is healthy using social media as their primary source of human contact. Find people who desire more natural living and ask to be part of that community. Help support their goals while you further your own. Practice egalitarianism. Take part in rites of passage and other ceremonies that recognize milestones and promote social bonding. Immerse children in multi-age settings so that they learn real values (hint: jealousy, greed, and vanity are not real values). Remember that the human community is part of a larger natural community. Expand your physical tolerance limits. Recognize that you can endure greater levels of cold, heat, hunger, and physical discomfort than you believe. Thermostats and instant meals have blunted your ability to be comfortable when outside the home. Walk barefoot on the cold ground (or in the snow). Push yourself (safely) during exercise. Experience the elements and allow your body to broaden its range of what feels comfortable. You will gain strength and your metabolism will adjust. Learn to enjoy the climate of your local setting. 9. Treat altered states of consciousness with respect. Entheogens are sacred elements of our landscapes. They are powerful healing and teaching elements. They should be experienced with ceremony and positive thoughts (i.e., set and setting). Chronically experiencing altered states is unhealthy (i.e., shed any addictions you possess to further your movement toward freedom). You do not need a bureaucracy positioned between you and creation. You do not need your witnessing of the cosmos to be burdened by dogma. Spirituality can be practiced free of institution. We all have the ability to feel wonder and gratitude for this world’s magnificence (not just those with credentials). Practice gratitude.